Store your notes, journal entries, and daily recipes, substitutions, and to-do lists within the pages of this beautiful and inspirational journal. Inspiring, thoughtful and compassionate – this guided journal is the perfect tool for you to keep your thoughts, reflections, inspirations, recipes, to-do lists and more. Quotes and illustrations on each spread complement the helpful tips, anecdotes, and ideas from Colleen Patrick-Goudreau, author of the bestselling book, Vegan’s Daily Companion. This guided journal is not only a useful tool, but the perfect keepsake for inner thoughts and love for animals. 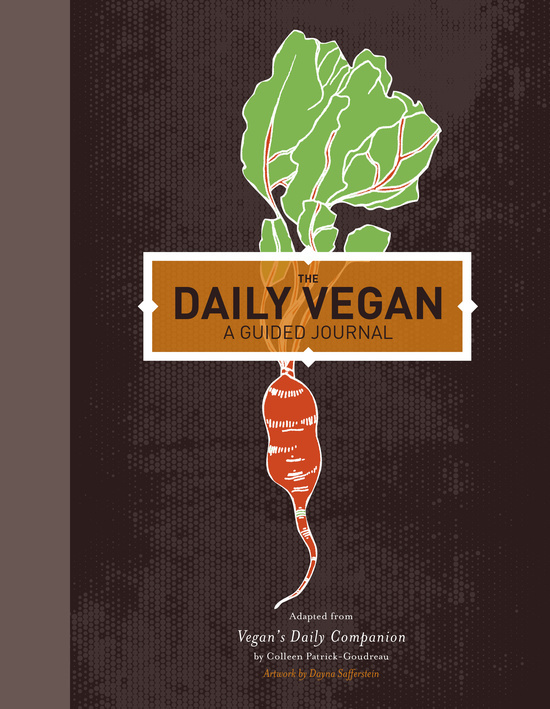 You may purchase The Daily Vegan at any of these stores: Barnes&Noble, BAM!, IndieBound, Powell’s City of Books, QuartoKnows, Indigo Books and Music Inc., or Amazon.com. SIGNED COPIES of The Daily Vegan are available at Laurel Bookstore in Oakland. They ship directly to you!